New Zealand eventing is going for gold at the Alltech FEI World Equestrian Games, and the naming of the team sees a high-achieving mix of four-star winners. Tim Price and Wesko after winning the CCI4* at Luhmühlen earlier this month. The all-male team is headed by Kiwi team regulars Andrew Nicholson and Mark Todd. They are joined by recent CCI4* Luhmühlen winner Tim Price in his WEG debut, and 2013 Badminton winner Jonathan Paget. Confirmation of Paget’s selection hinges on the final ruling from the FEI Tribunal after his horse Clifton Promise tested positive for a banned substance last year. Earlier this month his provisional suspension was lifted, allowing him to return to competition. Selected to ride as individuals at the Games are Caroline Powell and Onwards and Upwards (owned by Cameron and Mary Crawford) and Lucy Jackson on Willy Do (owned by Mark, Gillian and Charlotte Greenlees). Nicholson has been named on either Nereo (owned by Libby Sellar) or Avebury (owned by Rosemary and Mark Barlow), Todd on Leonidas (owned by Peter Cattrell and Di Brunsden), Price on Wesko (owned by Christina Knudsen, Peter Vela, Lucy Sangster and Kate Watchman), and Paget is to ride Clifton Promise (owned by Frances Stead and Russell Hall). Nicholson has ridden in all six World Equestrian Games, with his best individual result a bronze in Kentucky in 2010, when New Zealand also won a team bronze. He and Todd, who has ridden at four WEGs, were in the gold medal-winning team in 1990 in Stockholm. Todd was also in the team to take gold in 1998 in Rome. It will be the second time Paget has ridden at WEG but his first in the team. He finished seventh individually in 2010. Reserves are Jonelle Price on Classic Moet (owned by Trisha Rickards), Tim Price on Ringwood Sky Boy (owned by Robert Taylor, Selwood.com and Price) and Megan Heath on her own St Daniel. Equestrian Sports New Zealand high performance eventing coach Erik Duvander says the team combinations are all well proven, but he cautioned it was still all about putting it together on the day. Riders are now in preparation mode until the games start in August. New Zealand has a successful history at WEG – the team won gold in 1990 and 1998, and bronze in 2010. Individually, gold medals have been won by Blyth Tait and Messiah in 1990, Vaughn Jefferis and Bounce in 1994, and Tait and Ready Teddy in 1998. 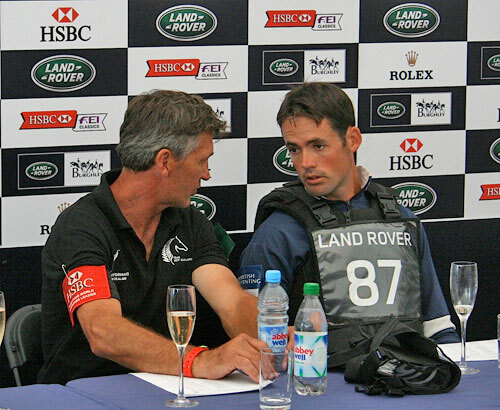 Mark Todd and Broadcast News won silver in 1998, and in 2010 Andrew Nicholson and Nereo won bronze. New Zealand has already named vaulting and endurance teams for WEG, with the possibility of para-equestrian and showjumping representatives as well.